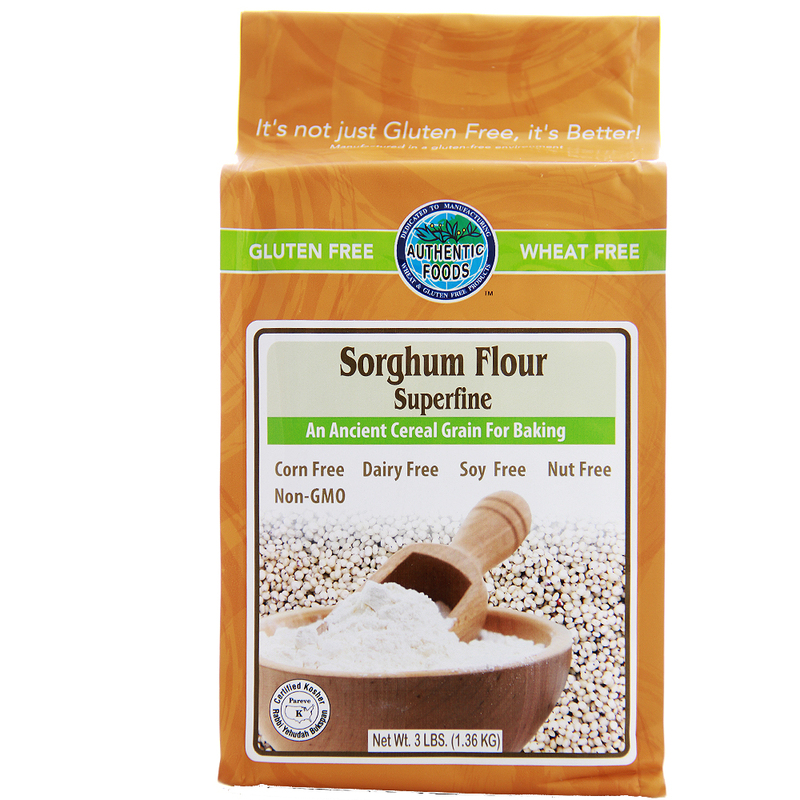 Sorghum is derived from a cereal grain crop and is 100% gluten-free. It can be used by itself or mixed with other gluten-free flours to make delicious breads, pizza dough, cakes, pastries, etc. Nutritionally, sorghum is a better source of protein and fiber than rice flour. Many populations in Africa and India have consumed sorghum for thousands of years. Their cultures actually developed the original White Sorghum for making porridge and flat pancakes. 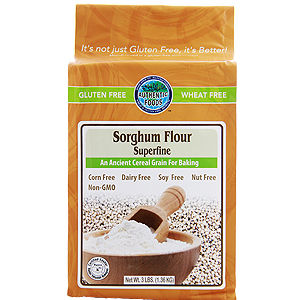 The White Sorghum Flour is high in insoluble fiber with relatively small amounts of soluble fiber. The protein and starch components of grain sorghum are more slowly digested than other cereals and slow the rate of digestion for products made from White Sorghum. Slower rates of digestibility are beneficial for diabetics. Mix all dry ingredients (Authentic Foods White Sorghum Flour, potato starch, sugar, salt, double acting baking powder, Authentic Foods Vanilla Powder, and Authentic Foods Xanthan Gum). In a bowl, beat egg yolk, milk and oil. Add this mixture to dry ingredient mixture. Stir until smooth. Then beat egg whites until stiff. Fold stiff egg whites into batter. Bake and serve according to your waffle iron instructions.